(1824, London, United Kingdom - 1862). A. Solomon studied at the Bloomsbury School from 1824, under Sass and then Cary. In 1839 he entered the Academy Schools. 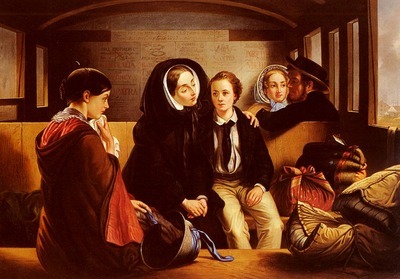 He was a successful Victorian painter specialising in contemporary social scenes and in other genre. Many of his paintings are illustrations of literature, historical and contemporary, and tend to have long, meandering descriptive titles.